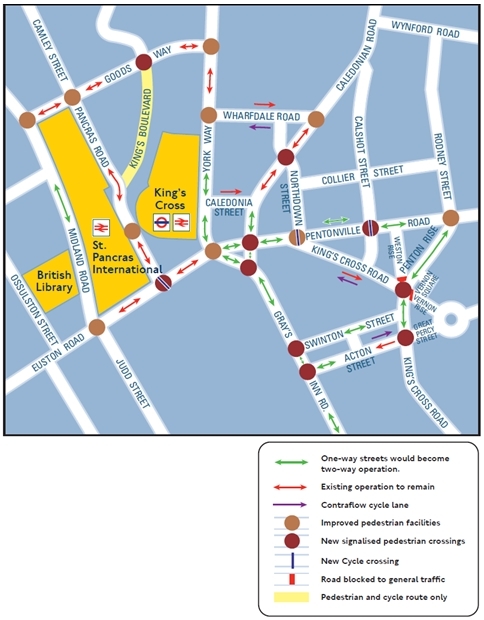 At the meeting of the Forum on 22 November, Lisa Young of Transport for London outlined the main conclusions from the consultation on the initial proposals for eliminating the gyratory and returning roads to two way working. The members of the Forum welcomed the fact that, by contrast with many presentations, the remarks paid attention to the views of the Forum, as expressed in its response to the consultation. They urged Transport for London and Camden to make improvements now that would not compromise the long term plans to follow the next consultation. The minutes of the meeting summarise the discussions on the plans. The meeting was also the annual review meeting; the annual review report is here.